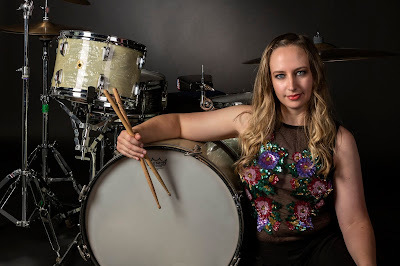 Drummer, percussionist and bandleader LORRAINE BAKER launches her debut album Eden on 12 October, which has been inspired by the dance-like rhythms of legendary drummer Ed Blackwell. Leah Williams talks to Lorraine about the importance of this influence, playing alongside friends and mentors, and heading out on tour. 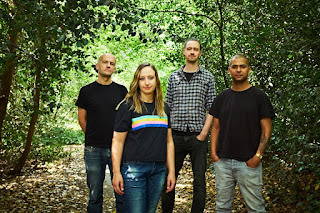 LondonJazz News: How does it feel to be on the cusp of launching and touring your debut album, Eden? Lorraine Baker: Enormously exciting. This album has been a long time in the making and I’m so happy with how everything has turned out. I just can’t wait to get out on the road and start sharing the music with people. LJN: Where did the idea for the album come from? LB: When I was studying at Trinity over ten years ago, I started listening a lot to Ed Blackwell’s recordings. There was something so distinctive about his playing that really captured me and I saw a direction I wanted to take my playing. For Eden, I’ve taken a selection of tunes that Ed Blackwell famously played but added my own compositional twists, creating arrangements that hopefully pay tribute while showcasing my own style. LJN: What is it about Ed Blackwell’s playing that spoke to you? LB: My first introduction to rhythm as a child was actually through tap dancing and Ed’s playing immediately took me back to those classes and that discovery of the joy of rhythm. He sounds like he’s dancing when he’s playing. He has such a strong sense of melody, and technique never overwhelms the freedom of a natural, melodic groove. LJN: Do you have a favourite track on the album? LB: That’s a tough one! There are some tracks that immediately spring to mind but for different reasons. Guinea is the one that really kick-started the idea of the album after I had the incredible opportunity to perform it alongside bassist Dave Holland, who actually played and recorded with Ed Blackwell. Then there is Dakar Dance, which is an infectious, riff-based track but the most demanding one for me to play so I’ve got a bit of a love/hate relationship going on with it. We’ve spent so many hours together now! LJN: How did you choose which tunes to include on the album? LB: It was mainly trial and error; I collaborated with my long-time friend and music partner Paul Michael, who plays bass on the album, and together we explored so many tunes and found the ones we really felt we could add to and do something new with. LJN: Acclaimed pianist and your mentor and previous tutor Liam Noble also plays on the album recording. How was that experience? LB: I was so pleased he agreed to play on the album. He’s such an incredible pianist and has also been a wonderful friend and mentor to me over the years so it was a real honour to have him involved in the project. Unfortunately he’s not free for the tour, but we’ve got the equally amazing John Turville coming along with us which is exciting. The quartet is finished up with another old course mate Binker Golding, who is super busy being deservedly successful so it was amazing to have him on board as well. LJN: Your first tour date is at Oliver’s Jazz Bar in Greenwich on the day the album launches (12 October). Are you looking forward to taking your music out to a live audience? LB: Yeah, I really can’t wait to get out there! There’s nothing like finally seeing an audience reaction to music you’ve been working on for a while. We’ll also get the chance to play some tunes that aren’t on the album. I love playing live as you never quite know what will happen. It’s just amazing to be able to use the energy of the night and to be in the moment, making every gig different. LJN: Is there a venue you’re really looking forward to? 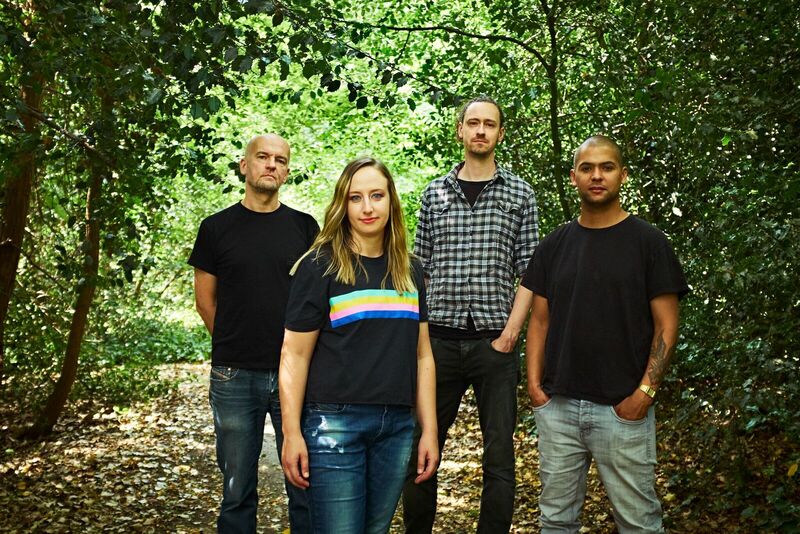 Eden is released on the independent jazz label Spark on 12 October and available from all usual outlets.